I am setting up a Sitecore Environment for a Project with Sitecore 8.2 and Sitecore rocks to work with Sitecore connection from visual studio. Since I have accidentally deleted my vmx file when working late on one of my VM. I though it would be fun to see what issues I face if I set a new environment after all these time. 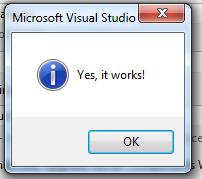 Also with the VS 2017, I wanted to see if any parts starts to complain. Installation went pretty smooth from the market place. 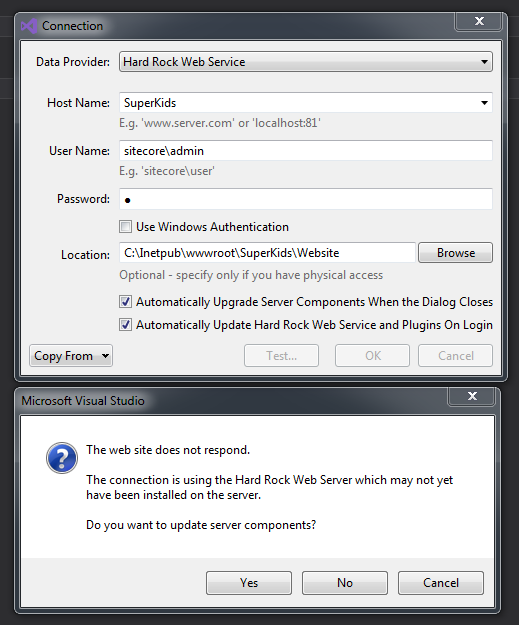 When setting up the connection with Sitecore from VS2017, I tried the “Hard Rock Web Service” and it didn’t work for me. As I am updating the template, I am not able to get the Commandy interface (ctrl+shify + Space). It showed me this error…. “The Path is not a legal form” 🙁 . Then I realized, my mistake. 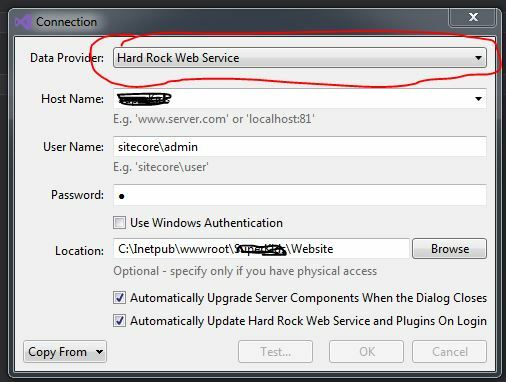 You need to use the “Hard Rock Web Service” to fix this. It is relatively painless. This will open the wizard and takes you through the steps and at the end you should see this. Open Visual Studio 2017 and try the Commandy interface. This will work now.